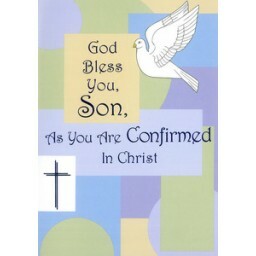 God Bless you Son, As you are Confirmed in Christ. Verse: Your life is a reflection of the Spirit of God dwelling within you. May it be a light to guide others to Him.